Uthappam is a thick pan cake made with thick dosa batter. Unlike the normal crispy thin dosa this is spongy and soft. This is a famous traditional South Indian breakfast or dinner. 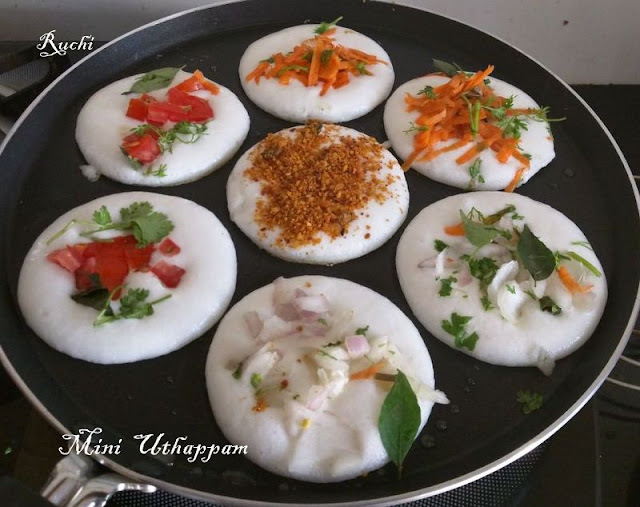 There are many variations in Uthappam depends on the base and the toppings. 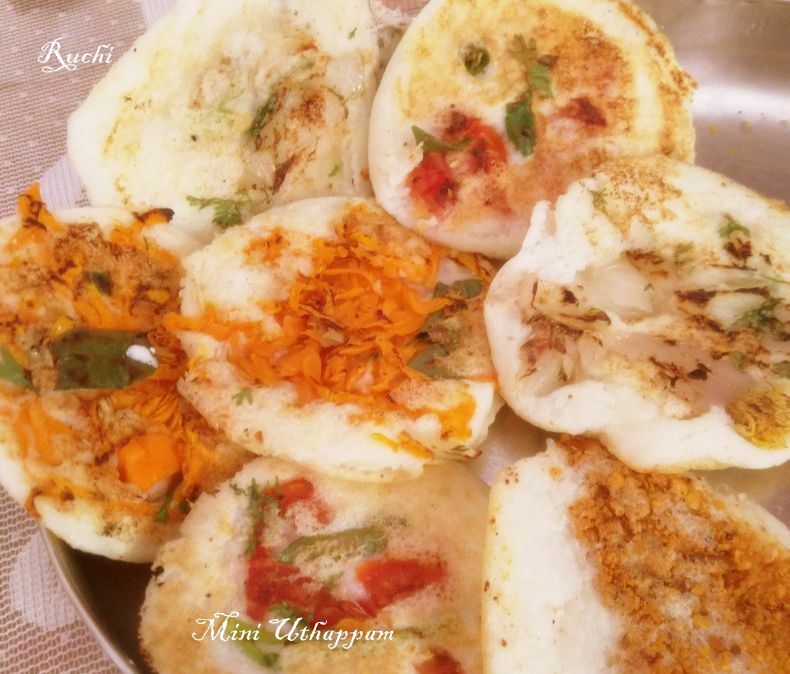 recently I bought mini uthappam pan from chennai. So Today I made mini Uthappam for breakfast with various vegetable toppings. 1. Wash and finely grate the carrot, chopped onion, tomato, Very finely chop the green chillies and Ginger. Keep each one separately in a plate. 2.Heat dosa pan and grease it with oil/ghee. Take the dosa batter. It should be thick. 3. 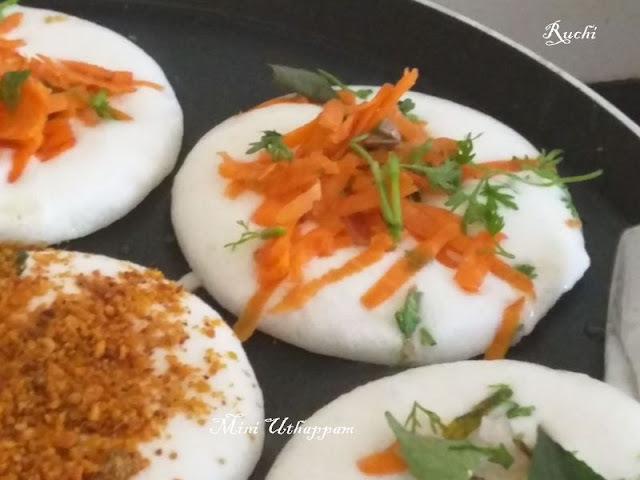 Pour mini (half laddle) uthappams top with your favourite. Cook in low to medium flame. 6.Yummy Variety Uthappams are ready to serve with TiffinSambar and variety chutney.